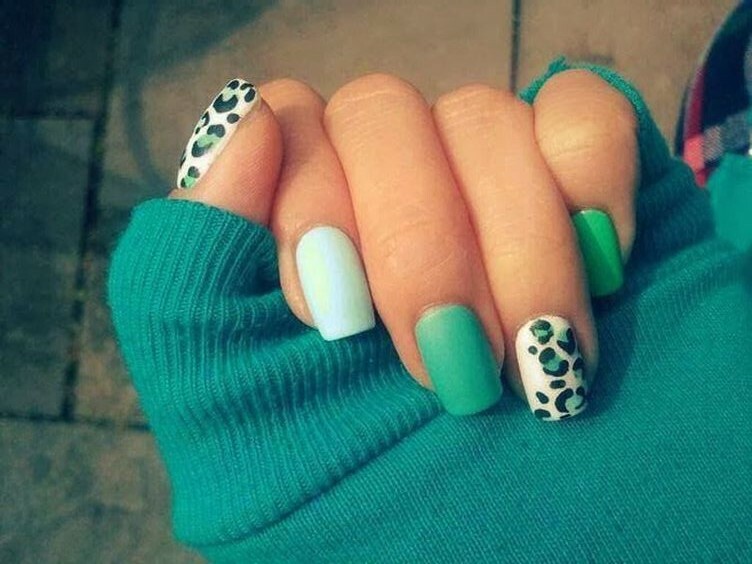 Nail art lies in a special place in the fashion world. 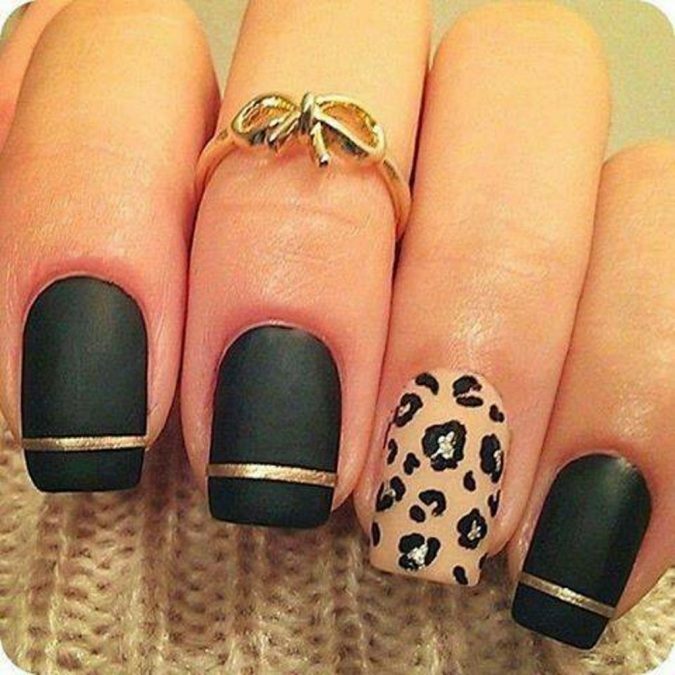 Nail paint has an impact on the way we present our personalities. 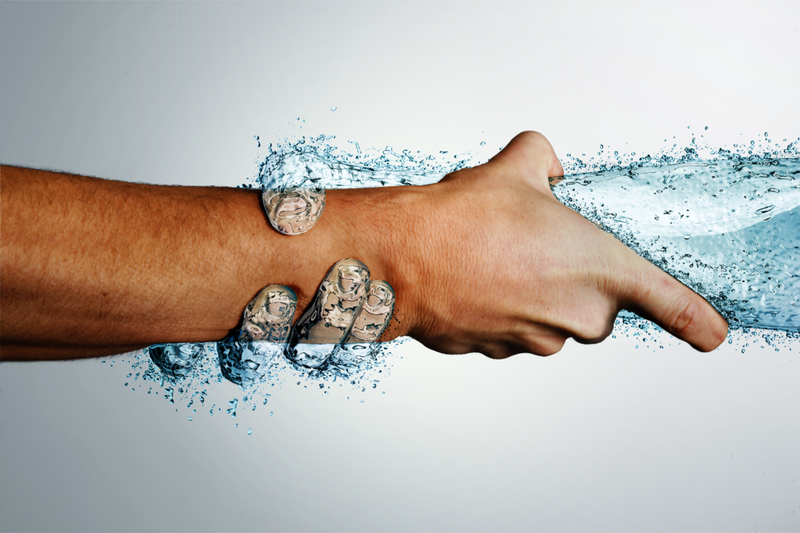 As a matter of fact, properly manicured hands boost self-confidence. 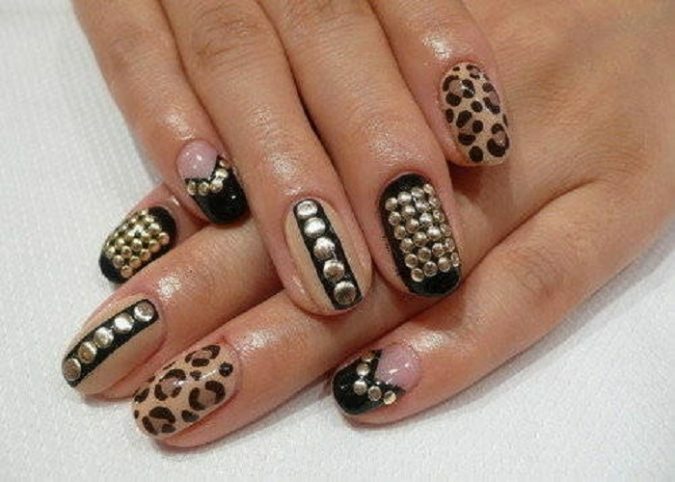 In the modern time nail art has reached a new level as it does not revolve around nail polish only. 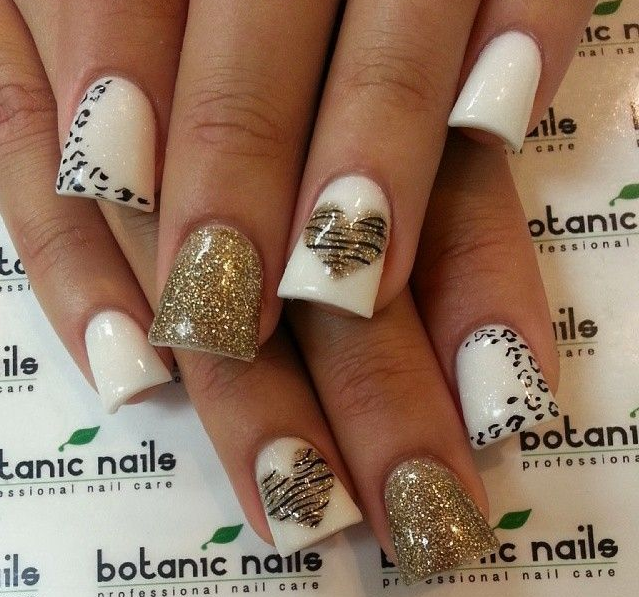 On the subject of nail art, glitter, studs, and different patterns have developed. 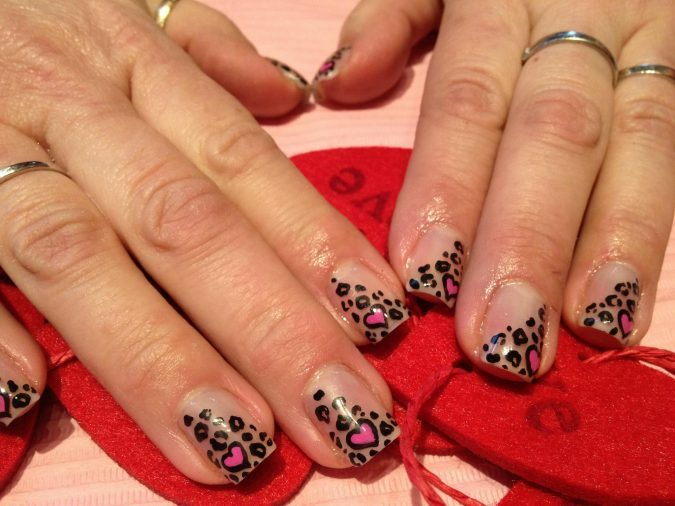 Undoubtedly, cheetah design stands distinguished among other nail art designs. 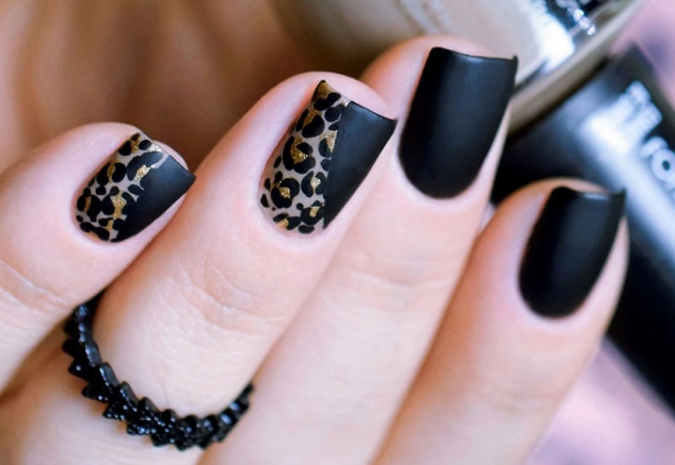 The list comprises the most stylish cheetah and leopard nail designs from nails with black tips to the studs put on the nails, hot colors, natural look, and metal black for ladies. 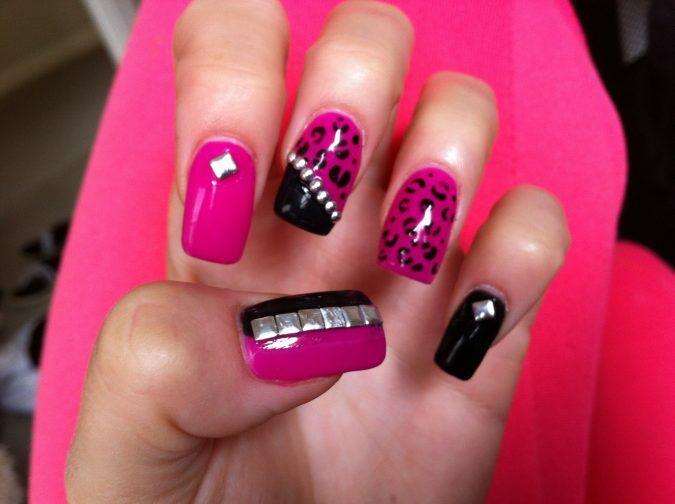 Here you have also a pool of ideas from which you can pick the style you desire for your nails. 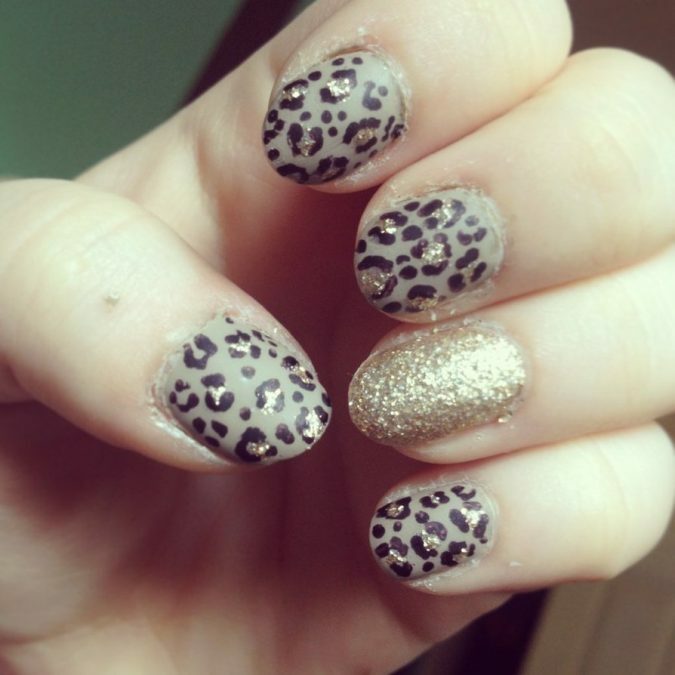 Sometimes girls call it the pure cheetah print since it simply consists of alternative black and golden spots on the natural nail base. 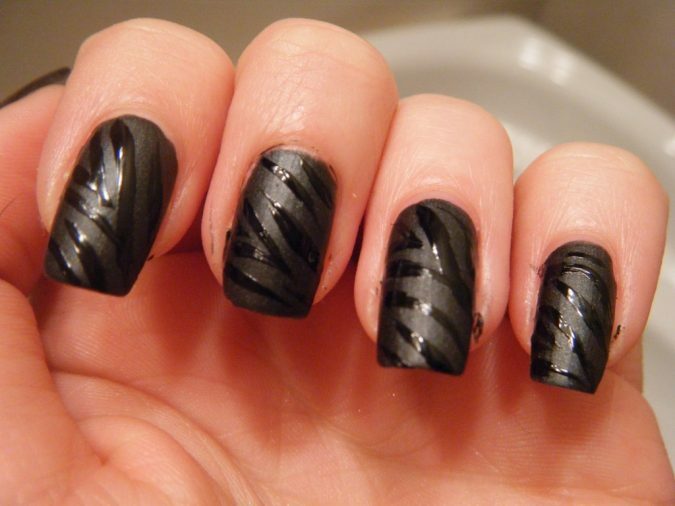 Further, the gold stripping on black chevron at the top complements the design. 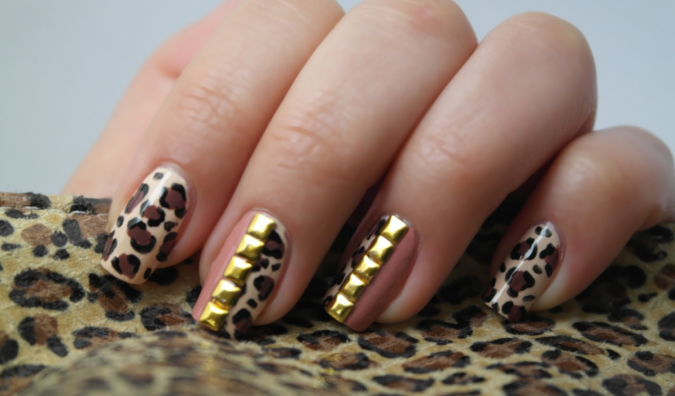 Such a design is a unique amalgam of simplicity and style since the combination of cheetah print with a stud on the simple nail polish provides a very attractive look. 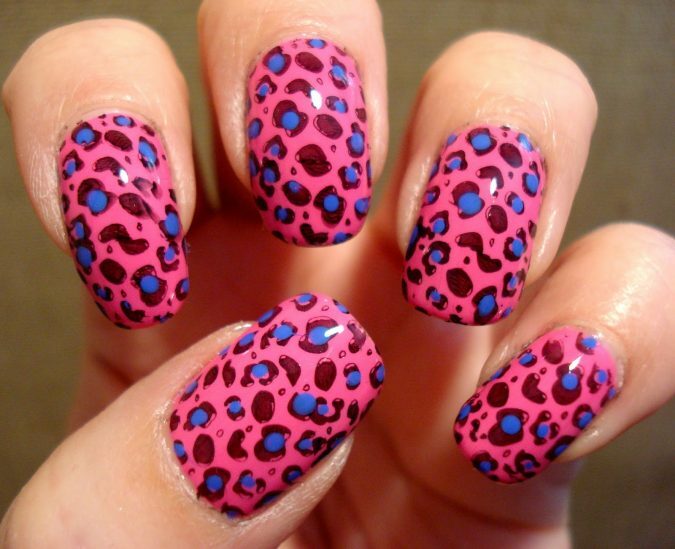 Here, girls usually polish their nails with alternations of plain paint with cheetah print. 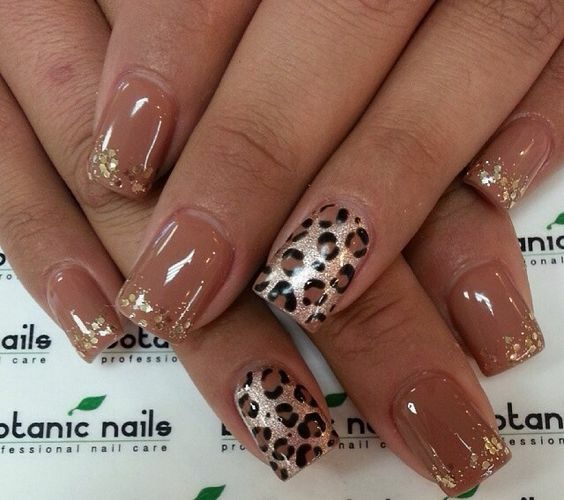 This is rather a fancy design since the glitter is the base of the cheetah; it enhances the nail design. On one hand, girls polish glitter as a base or a layer on the nail. 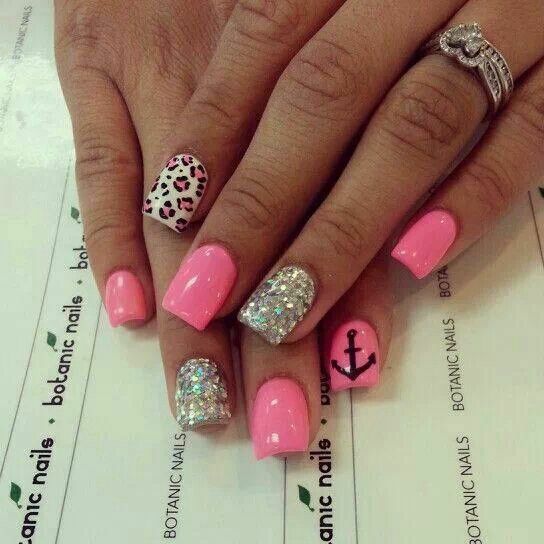 On the other hand, they use plain glitter on any of their nails. 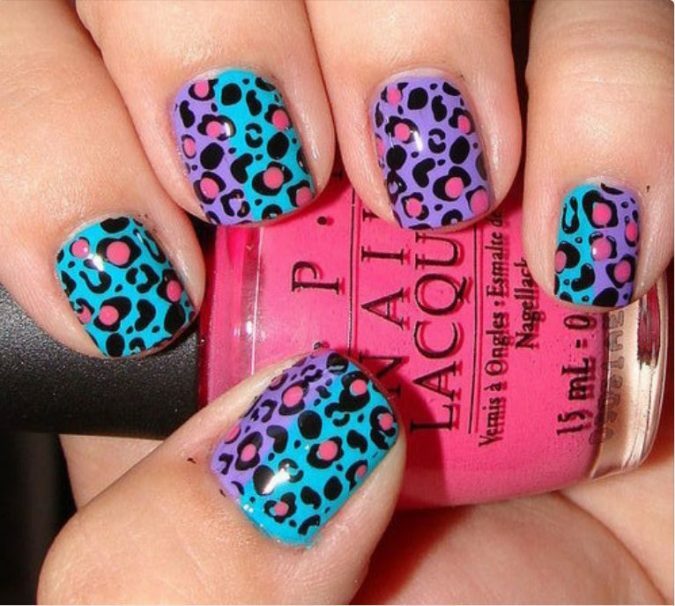 Such a leopard design with an amalgam of hot colors is very eye-catching. 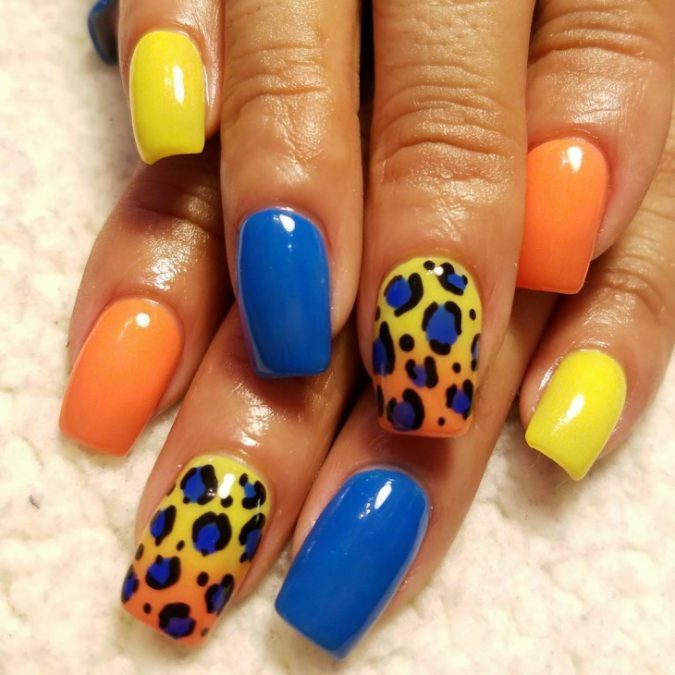 It may seem difficult to carry but once carried properly, it renders you nails gorgeous with the combination of orange, blue, yellow, pink and purple. Trying silver glitter may also produce a stunning design. 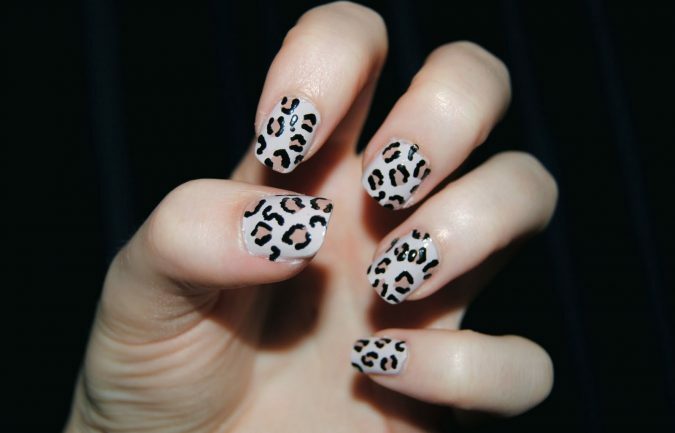 This is perhaps, the most commonly used leopard design since it features the natural design. The bright side is that it is easy to carry out. It is also so natural and eye-catching and complements your finger. 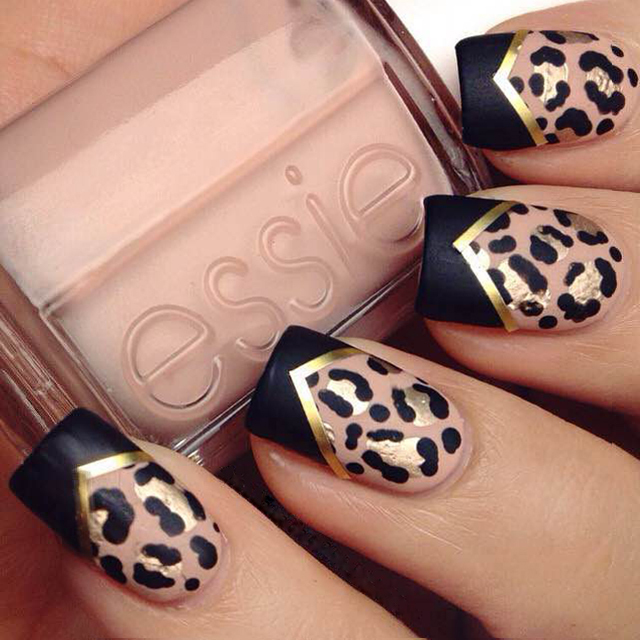 Finally, this is the most elegant and classic Leopard design since women love to use the matte black for such design. 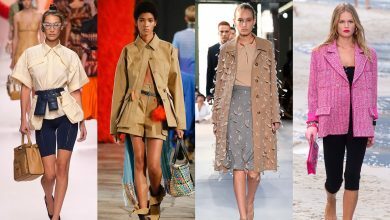 Not only does it suit all the attires, but also it is capable of maintaining its uniqueness.